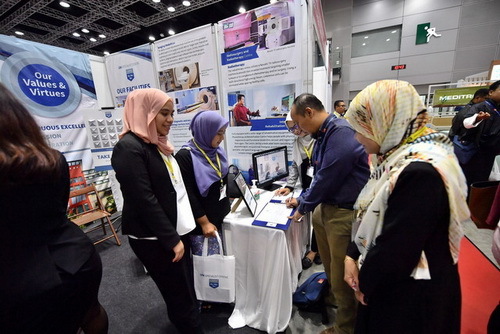 KUALA LUMPUR, July 31 (Bernama) — The University Malaya Specialist Centre (UMSC) is out to raise public awareness of the UMSC brand through exhibitions and conferences, among the promotion platforms. Its marketing executive, Noorrazidah Azmi said besides increasing the brand awareness, it was also important to publicise the services and medical expertise available at UMSC. She said this when met at the three-day Association of Private Hospitals of Malaysia (APHM) International Healthcare Conference and Exhibition 2018 being held at the Kuala Lumpur Convention Centre from today until Aug 2. Norrazidah said this was UMSC’s fourth participation in the event. According to her, among the facilities and services available at UMSC are five beds at its critical care unit, 95 other beds, 40 clinics, four dental clinics and 10 operation theatres. “We also have over 220 medical consultants including professors with much clinical experience, and more than 300 staff,” she said, adding that compared to normal hospitals, UMSC had super specialists, who patients could refer to according to their needs. Established in 1998 as the private arm of University Malaya Medical Centre (UMMC), UMSC serves 400 to 600 patients daily.